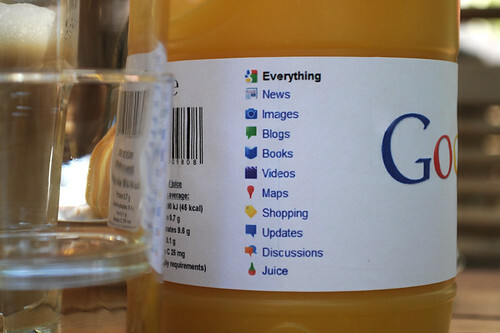 Recently I was able to distill the mysterious Google Juice, the etheral substance that floats between web pages. Get your bottle! Beware, it is addictive! 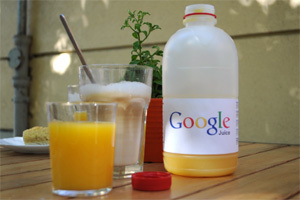 One of the key factors of search engine optimization that is clouded in secrecy is the mysteries Google Juice. It is ment to be an ethereal substance which flowts between web pages via their hyperlinks. The amount of Google Juice flowting around a page thus reflects how well connected it is. After a long quest I was able to catch the myth-enshrouded liquid and to precess it for mass consumption. Currently you can buy Google Juice only at the German discounter Netto, but I am negotiating with other distributors as well. 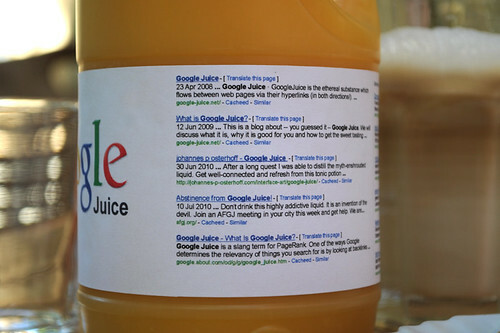 Buy Google Juice today and get well connected and refreshed from this tonic potion. Another Update: DO NOT drink Google Juice. It is highly addictive! 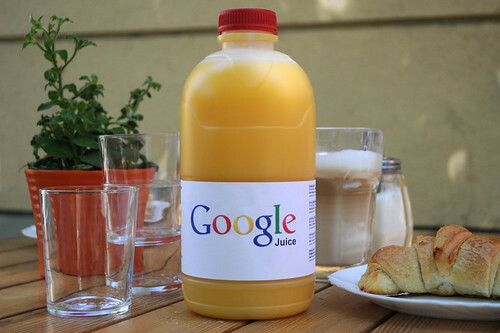 The first bottle of Google Juice. Online result layout offline. Read carefully. 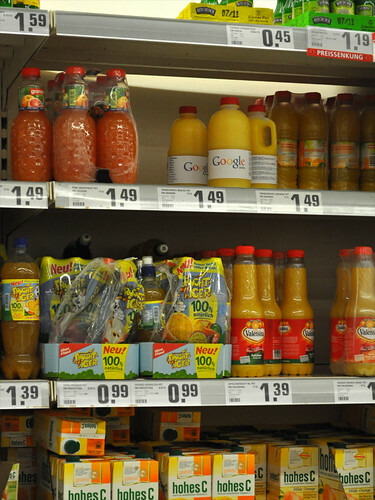 Google Juice and others at a Berlin based supermarket.